Nestled in the woods on a 1.10 acre lot! 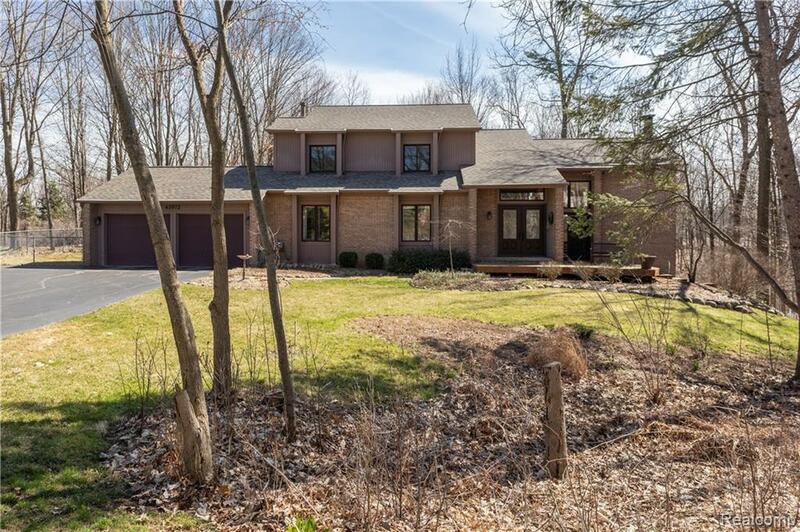 2 new furnaces & a/c's (2014), new dimensional roof tear off (2002), Northville mailing & schools, new driveway (2016), new well pump (2015), new hot water heater (2011), 2x6 construction, huge great room with 2 story stone fireplace & tons of windows. Remodeled kitchen with granite, maple flooring & stainless steel appliances (2015), 1/2 bathroom remodeled (2014), clad Peachtree windows, Florida room or solarium on both floors, main bathroom remodeled (2011). Stand by natural gas generator (2000), view of the pond, totally secluded but close to everything! Energy efficient home! All M/D approx. The Buyer Agent is required to be physically present for all showings unless prior express written consent is given by the Listing Agent and/or Seller to the contrary.